Something new to try! 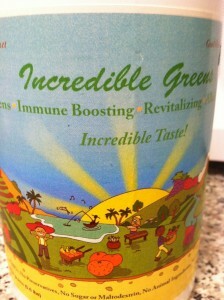 I was offered to try Health Kismet Incredible Greens for free. 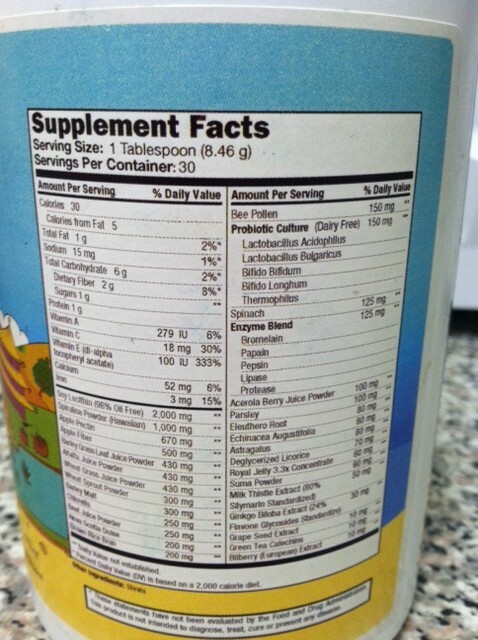 It has a bunch of awesome stuff in it, and you know I’m a sucker for anything with a bunch of healthy ingredients! Take a look! I tried mixing it with water first. 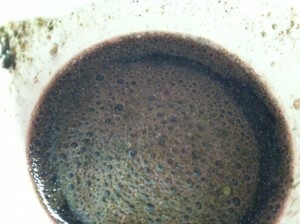 Mildy minty aroma, and turned the water a very dark green once mixed. The flavor isn’t bad- it’s mildy sweet, but also has a bit of flavor to it. It reminds me of that flavor that protein drinks sometimes have, but it’s very subtle since I mixed it with water. I wouldn’t say I would like to drink it like this all the time, but it’s certainly not bad. Not bad! I really couldn’t taste too much of the powder. I added about half a scoop since it was a 4 oz cup of applesauce. 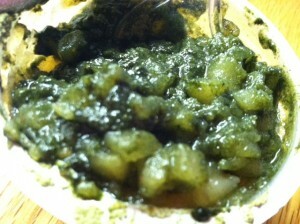 It provided a tiny bit of flavor, almost providing a “creamy” aspect to the applesauce. But really, it didn’t hinder the flavor of the applesauce too much, and I kind of liked it ! Lastly, I tried it in some cranberry juice! Cranberry juice is super healthy and one of my favorite juices. 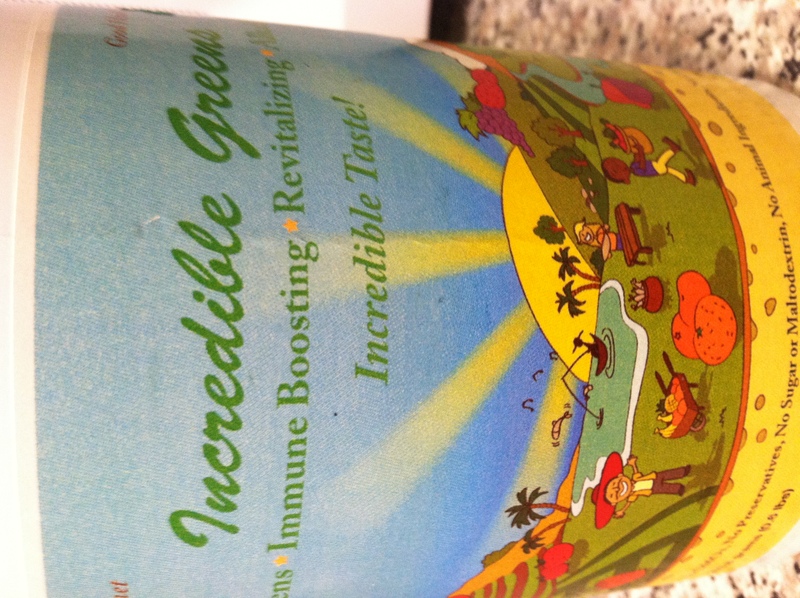 I figured the tart flavor of the cranberry might go good with the Incredible Greens. It was a pretty good paring! As predicted, I didn’t taste too much of the Greens, but it gave a creamy-ish texture to the juice and a “creamier taste” as well. I think it was pretty good! OVERALL, 3.5 STARS. Sometimes I think a full scoop is a little strong, so you may want to start out with half a scoop and work your way up, depending on what you mix with. It has a bit of an acquired taste, but it’s really not too strong that when mixed with something can be a great addition. I think this product is worth a try! 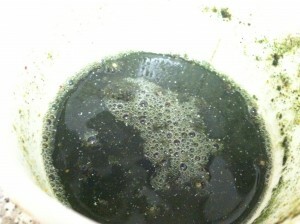 You can see more about this green superfood powder and other products here. Voila! Let me know if any of you try it and how you used it! This was a sponsored review, and I received the product for free. In no way, shape or form is my opinion about the product altered.